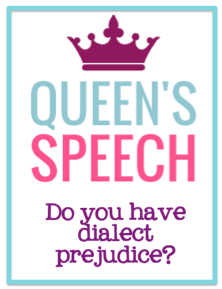 Do you have a dialect prejudice? I bet you do! Everyone has a personal idiolect. 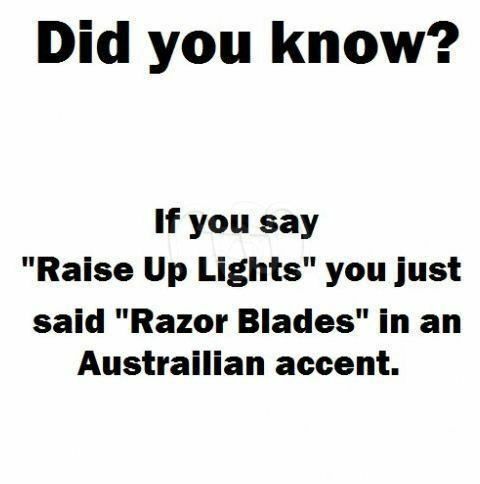 We also have a dialect from either where we were raised or from whoever raised us. Then possibly influence on that dialect from wherever we have lived or currently live. What dialects do you find pleasing to listen to? Which dialects annoy you? Which dialects sound smart? Which dialects may sound well, less educated? Our dialect rarely has anything to do with how attractive, annoying, or smart we are. Yet we all make judgements about a person's character based on their dialect. Strange right? I got to thinking about this topic after a conversation I had a work. 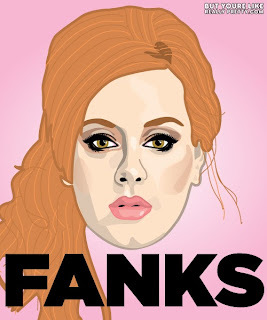 We were talking about the singer Adele and how she says, "Fanks" instead of "Thanks". There was some discussion about how it made her, "seem uneducated", she has money and should get that "fixed". Well being the nosey SLP I am I had to chime in. She is not uneducated, well maybe she is, but it has nothing to do with her dialect! She is from an area of North London called Tottenham and that is the reason she speaks the way she does. Want a great example of prejudice surrounding Adele? Check this out. I was a little shocked at the person's anger. Wow! 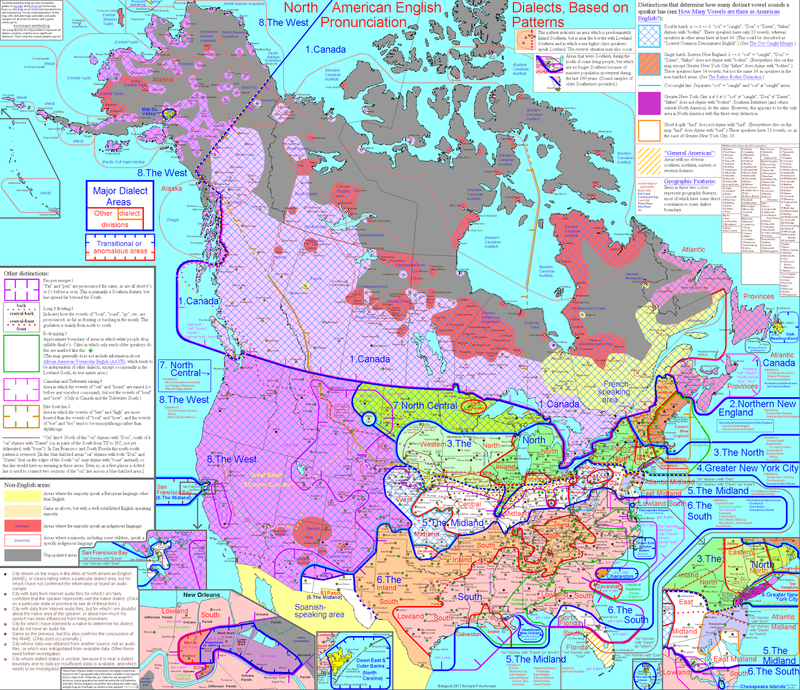 Now in America alone, we have hundreds of different dialects. I found a map, but it's so large and full of info, I could spend a good amount of time looking at this map. This map came from this website. I am a California girl born and raised. I say the work "like" all too often. I also use: he was like, she was like, dude, sick!, gnarly! I also say awesome the same way I say possum. I also say California with an interdental /l/. Say California....where is your tongue when you say /l/? For more typical dialects, check out this cool series from PBS, "Do You Speak American?" Some people may think I am a "Valley Girl" based on the way I talk, but I'm not! I was born and raised in the Silicon Valley and I am a very well educated gal (we have to be as SLPs, Master's degree Woot Woot!). Just like some people may think that everyone from the South must be a "cowboy" or does Rachel Jeantel (Trayvon Martin case) even speak English? YES, she does it's just not your English...read here. WHY? Oh, why do we have prejudice about the way people speak? I found this article that had found some research behind the mystery. To quote Lippi-Green, "it is unacceptable to reject individuals based on their ethnicity, but it is acceptable to reject them based on the variety of English they speak (292). The standard language ideology is a belief that some varieties of English are "more English" than others, and there is "one perfect and appropriate kind of English that everyone should speak". Thus, we may not realize it, but we may think that our dialect is a more "perfect and appropriate" way to speak. When in reality there is no "perfect and appropriate" dialect of English. The media and other outlets may just sway us to think so. News anchors Standard American English (SAE) anyone?? 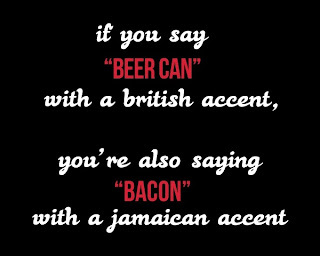 Something to think about the next time you meet someone with a different dialect than you! Don't judge them solely based on the way they speak! Lippi-Green, Rosina. 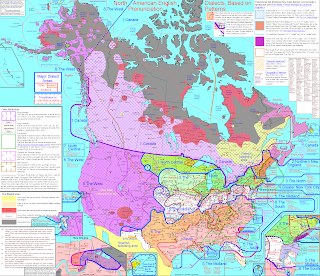 English with an Accent: Language, Ideology, and Discrimination in the United States. New York: Routledge Inc., 2001. Print. Lippi-Green, Rosina. "Language Ideology and Language Prejudice." Language in the U.S.A. themes for the 21st century. New York: Cambridge UP, 2004. 209-304. Print. Great post! I'm from southeastern Massachusetts, but went to college in Wisconsin. 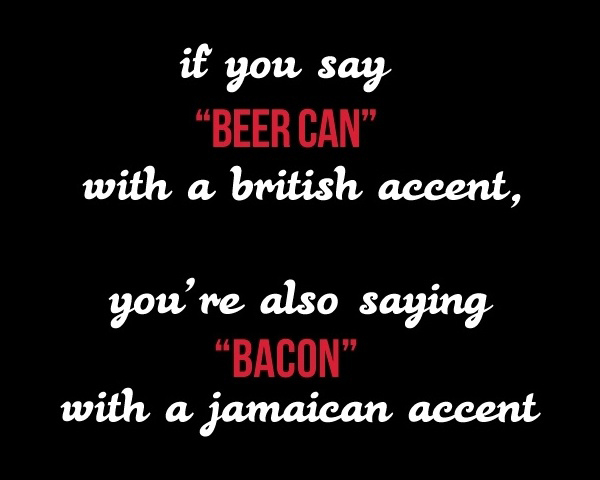 I don't have a strong "Boston accent," but I used to. I watched the video response to the dialect quiz and even though I only live 50-60 minutes south of Boston, my responses for many of the items would be different from the girl in the video (who is from Gloucester, north of Boston)! Thanks Carrie! I have had this post on my to-do list for a while! I find it so interesting! I think it would be fun to do an SLP link-up of accents! That would be fun! I loved watching the video, because the whole time I was thinking of what we say here in Cali! Mow the lawn, soda instead of pop, crawdad versus crawfish, drinking fountain etc. Like you mentioned even 50-60 minutes can make a big different in dialect! I moved from Silicon Valley to San Diego (8 hours south) and down here they say "THE 15, THE 8, THE 78" for freeways/highways/interstates. So when I go home to visit my parents they laugh because I put the word "THE" in front of all the freeways haha. Sometimes I surprise myself though and change the way I speak and don't use "the". Weird! Hmm, no SLP link-up of accents, but you might like this page. It's called IDEA (The International Dialects of English Archives). Here you can browse accents from all over the world. You can even submit your own sample if you like. Samples from all over the world are sorted by area, gender, SES, etc. I think they used to use the Rainbow passage but maybe now have everyone read "Comma Gets a Cure." I used this back in my theater days and think it could be pretty helpful for an accent mod client. Even if it's not useful, it's super interesting. Cheers! Cory! Thanks for sharing! I know the Rainbow passage all to well! haha I will totally take a look and maybe submit a sample! Loving hearing all the different types of dialects. Cheers to you as well!